Bela's Paper Inspirations: A Kraftin' Kimmie card for an entry as a Guest Designer. 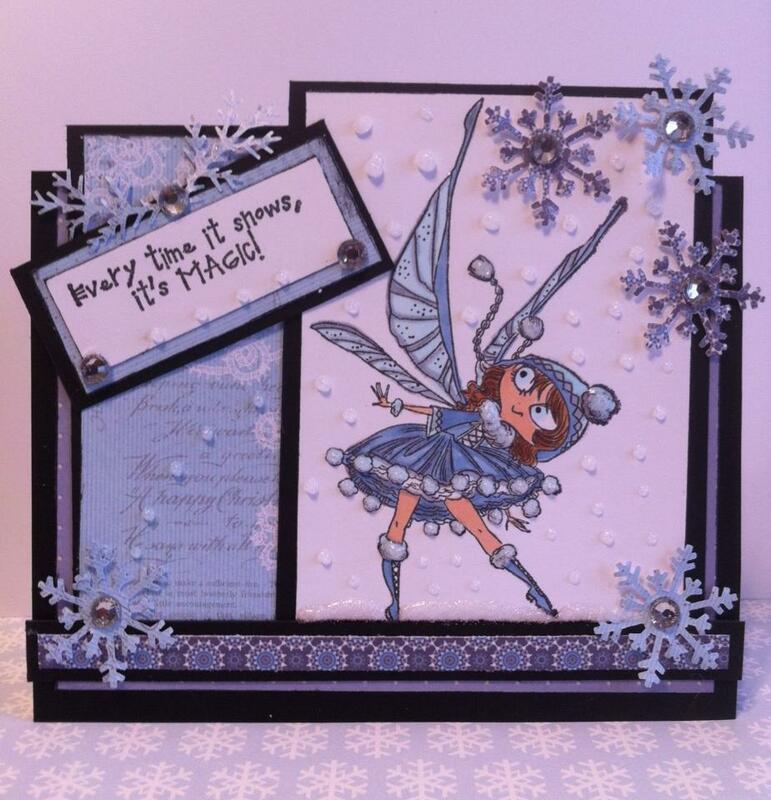 A Kraftin' Kimmie card for an entry as a Guest Designer. Hello everyone: Would you like to be a Guest Designer for the Kraftin' Kimmie Stamps? I just love the stamps and the way Kim Reid, owner, puts on parties for the new releases each month. Tomorrow is the release party for the January release and I was so happy to join in on the fun this month as a Guest. My posts below showcase the two cards that I created for this month using, Pretty Kitties and Party Animals. Here is my entry card for the Guest spot.